Data is what powers modern business. Companies today generate huge amounts of data, and business intelligence software leverages tools and methodologies to transform data into actionable information. Insights produced are used to guide strategic and tactical decisions. Specifically, BI software is intended to analyze internal and external business data to help an organization understand its weaknesses and strengths. No doubt BI benefits can be very useful for businesses and we can glean this from the fact that this software category is ranked fifth in the list of top 10 technology priorities for CIOs. It allows decision makers to come up with best and fast decisions, gain visibility into and fine tune processes, as well as discover customer behavior and market trends, among others. Historically, business intelligence software was among the most expensive business technology solutions. BI tools were tagged as enterprise-level solutions for the exclusive use of large corporations. The advent of SaaS platforms introduced affordable cloud BI, leveling the playing field and offering business intelligence tools for small and big business alike. Now, several of the leading vendors include free business intelligence software in their BI product lineup and we’ve gathered some of them here. 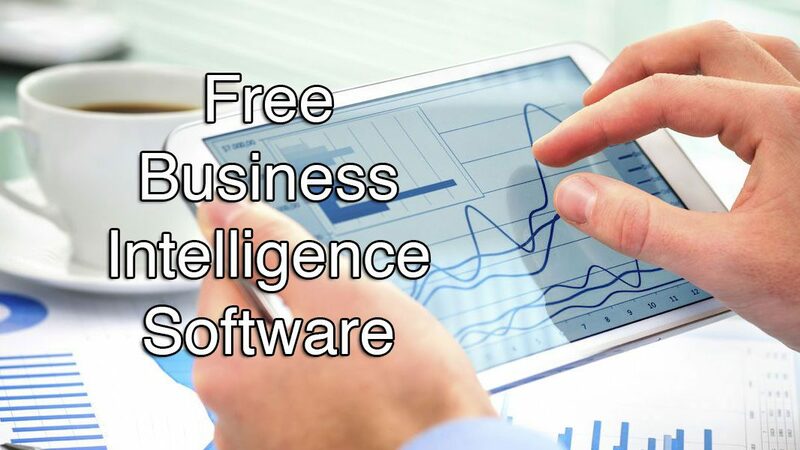 What are some of the free business intelligence software? However, keep in mind that there are certain limitations to the use of free business intelligence software (check out our business intelligence software rankings too). Among these are challenges when it comes to adoption, lack of functionality, ability to meet your requirements, and being on your own in a highly technical field. Furthermore, even if it is free business intelligence software or an open source platform, it may cost you more in the long run in terms of lost opportunities because of incomplete functionality and incompatibility with other systems. If initially you prefer the free route, we have narrowed down the choices below. QlikView is a BI data discovery solution that allows you to build your own guided analytics applications as well as dashboards designed to address business challenges. The solution enables you to unravel data insights and relationships from various sources utilizing unique data discovery and natural global search. It offers both default and custom data connectors, letting you import data from popular databases. Its open API means applicability for all sorts of software system and usability for a wide range of analytics requirements and scenarios, regardless if you are a small business or a large corporation. With QlikView you get unprecedented control over analytics experiences, top down control of analytics apps, and granular control of dashboards, layout, and design. QlikView can be deployed though its API, on premise or on cloud. Microsoft Power BI offers a suite of business analytics tools built to help businesses systematically scrutinize data and share insights. It allows you to transform your company’s data into attractive and comprehensible visuals, letting you easily collect and organize information, and craft effective business strategies. It is designed to identify trends as they occur, track your performance, and get answers fast through comprehensive dashboards that support any device. Originally planned as an add-on for the Microsoft ecosystem, the BI solution has transformed into a fully functional standalone product to serve the self-service BI market. Among the benefits that Microsoft Power BI provides include unlimited access to on premise and in cloud data, shareable interactive visualizations, quick data interaction, compatibility with leading operating systems, flexibility with a collaborative environment, consolidated view of your business and its performance, free form canvas for data navigation, and more. As part Microsoft’s lineup of business products, the BI solution tight can be integrated with other widely used Microsoft business tools like Excel, Azure, and SQL Server. Heap Analytics utilizes an innovative approach in business intelligence – capture all user interactions. It does this by automatically capturing every click, tap, gesture, page view, and form submission done by all your users. It then analyzes these user interactions without tracking codes and tags or waiting for data, providing you agile insights and helping you make better and faster decisions for your business. Its insight automation infrastructure is loaded with features such as data capture, event visualizer, user search and interactions, and funnels, among others. Heap makes it easy for you to identify users in-depth, monitor custom events, and generate reports based on real-time data, resulting in accurate and timely reports. In instances where events are not automatically captured by Heap, you can make modifications and assign custom events with a specific number of properties to thoroughly drill down on these events to give you the information you need. With Heap, you can get real-time insights in the quickest way possible without compromising the accuracy of your data. Domo is a business intelligence platform that boasts of the widest data set and connector support as well as a unique set of social collaboration features. Connecting all your people to all your data and systems has never been easier. You can pull data from everywhere, integrate everything, and connect everyone with over 500 data connectors that can bring in data from any third party source whether in the cloud, on premise or proprietary systems. It allows your employees to engage with real-time data, and decision makers to easily act on data through more than 300 mobile and desktop interactive charts and dashboards. Business leaders can run their businesses from their phones and have anything they need wherever they are. Domo’s native mobile app enables employees to quickly manage their tasks using their mobile device while adding context to data, getting predictive notification alerts, and having a holistic view in order to make more informed actions. Only a free trial is offered together with three premium plans. SimilarWeb Pro is a BI solution that offers website analytics tools that enable you to see traffic statistics for any of your websites and provide complete visibility on your business health. This helps you track opportunities, review your performance against competitors, and make smarter business decisions. Its capabilities make it an ideal solution for agencies, business analysts, marketing teams, and sales teams looking for ways to boost their traffic, broaden their audience, and discover new growth opportunities. With SimilarWeb, you’ll be able to identify emerging trends and new players, understand consumer intent and journey, explore new opportunities, discover your competition’s analytics and online strategies, and benchmark against your competitors and industry. A SimilarWeb browser extension is offered to allow you to gain insights into any website’s statistics and strategy with the click of a button, all in one tab. Hootsuite is a social relationship software platform that helps you easily find, schedule, manage, and report on social media content. Think of it as your social media intelligence and communications platform to aid you in crafting your social media strategies and transforming messages into meaningful relationships. Hootsuite lets you simplify social media reporting by quickly finding and scheduling effective social content and quantifying conversions, all in a single secure platform. It streamlines many processes including automatically scheduling hundreds of social media posts at once across your social accounts, managing and pre-approving social content that your teams post, and tracking and measuring the impact of your social media campaigns through comprehensive reporting. You can also find and filter social conversations by keyword, hashtag, and location in multiple languages to learn what people are saying about your brand, competitors, and industry. IBM Watson Analytics is a one-click data discovery and predictive analysis solution, letting you enjoy the benefits of advanced analytics without the complexity. All you need is a web browser or an iPad app to quickly understand what your data is telling you. You can explore relationships, test correlations, develop outlooks, search for insights, and instantly get answers. Its automated predictive analytics and cognitive capabilities as well as smart data discovery enable you to interact with data conversationally. Harnessing the power of Watson Analytics is as easy as loading a spreadsheet or connecting to relational data, and choosing a recommended starting point or typing a question, and you get instant visualizations. Hence, if you need to spot a trend fast or your team wants to view insights in a dashboard, Watson Analytics can provide it quickly. You can likewise find business drivers to create a target and quickly see its top influencers, and select a template to drag and drop data into and create a dashboard.  Tableau Public is the free offering of the Tableau Software Company which develops an array of products for visual data preparation, best-in-class analytics, and secure collaboration to support your end-to-end analytical workflow. From connection through collaboration, Tableau gives you a secure and flexible end-to-end analytics platform for your data. You can match the skills of any data worker with the capabilities they need as well as prepare, create, explore, or view trusted data with Tableau’s governed self-service analytics platform. With Tableau Public, you can create and share interactive charts and graphs, stunning maps, live dashboards and fun applications in minutes, then publish them anywhere on the web. The software accurately shows you changes in discreet data, and emphasizes levels of changes and durations in values. You can also design, customize and publish a single dashboard with optimized views on any device. Arcadia Data provides native analytics and business intelligence for big data. Letting you explore the depths of your data, the software provides an in-cluster execution engine for scale-out performance on modern data platforms, with no data movement. Moreover, its agile drag-and-drop access gives you ultra-fast analytics and business intelligence with support for visualizations on Apache Kafka. This means you can download a kit to quickly get started with exploring visualizations of Kafka topics. Arcadia Data is offered in two editions – Instant which is the free version, and Enterprise which is the premium offering. The latter gives you full capabilities to connect, discover, model, visualize, interact, manage, scale and optimize your data, among others. Instant is limited to the first four capabilities plus connection to popular database sources. Style Scope AE is a free visualization dashboard software from Inetsoft, a pioneer in self-service BI. It is designed to be lightweight and scalable – light enough to be installed on a laptop and robust enough for enterprise usage in a server cluster in the cloud or on-premises. It combines rings together data preparation and visualization capabilities into one visual design process for rapid dashboarding. Style Scope AE can be utilized by anyone who understands their data. It provides a full in-browser drag-and-drop design experience for data preparation, key metrics creation, and visualization. While it is a server-based app, its resource requirements are very minimal, allowing you to install it on a regular desktop or laptop computer. Free business intelligence software can be limiting. If you need the full power of business intelligence at your fingertips then you should consider premium solutions. It can be a sound investment and more profitable option down the road. A Nucleus Research study in 2014 found that organizations experienced average returns of $13.01 for every dollar spent on analytics solutions, including BI software. That’s an immense 1300% ROI! Another good thing, premium BI solutions are now available in low-cost packages such as the three products we have included here. If you think free BI software is too basic for your needs, you can opt for a more complete BI solution without breaking the bank. Here are three top BI software solutions that will give you full functionalities and features, and give you the competitive edge in today’s cut-throat business environment at an affordable price. Sisense simplifies business analytics for complex data from any source and any size. You can get instant analytics for all your data coming from many different sources, and quickly get the answers you need. Its Single Stack architecture takes you from data integration to visualization with a single BI solution, without the need to use additional tools. It boasts of unparalleled performance, shortest time-to-insight and unmatched TCO, data accuracy and real-time analysis, and smooth integration with other apps. Sisense’s premium plans come in the form of annual license, custom pricing, full-stack solution, customer commitment, and immediate ROI. The prices and features are scalable to your business requirements; in other words, you just get what you need at the moment and just add and upgrade later when you need to. The vendor offers a great free trial plan for those who’d like to try out the key features of the product first. You can easily sign up for Sisense free trial here. Looker is a business intelligence solution that specializes in data discovery. It utilizes the LookML data modeling language which you can mix and match with SQL to build your visualizations and optimize data analysis. What this gives you is an effective self-service BI tool that helps you consolidate SQL and Big Data management across your enterprise. If your business generates huge amounts of data, Looker provides a powerful solution to make sense of it all, together with drag and drop functions, collaborative features, and handy visualizations. No data analytics and BI requirements are the same for all businesses. Hence, Looker’s pricing is quote-based depending on the size of your business, and the features and capabilities that match your needs. If you want to try the features at no cost you can easily do so when you sign up for a Looker free demo here. ReportPlus is a data visualization software designed to let you visualize important business metrics in a single platform. It provides real-time dashboards, interactive reports, and accessibility anywhere at anytime to monitor and stay on top of your business processes’ performance through desktop and mobile devices. The cloud-based solution connects your data to cloud services, on-premise SQL databases, and local Excel spreadsheets in real time, allowing you or your staff to create, edit, and share dashboards using drag-and-drop capabilities, intuitive swiping, and a wide array of visualization types. ReportPlus is offered in three premium packages with the cheapest one going for $99.99 per user per year. It includes connection to 20 data sources, over 20 visualization types, unlimited dashboards, and one year of updates and priority support, to mention some. The best way to evaluate the features is for you to try them. You can easily sign up for a ReportPlus free trial here. A free solution serves as your initial foray into the world of business intelligence. But like other freemium software, it can only give you so much. Freemiums are designed to be your entry points to more feature-rich premium offerings that unleashes the full potential and prowess of business intelligence. Leveling up your business is a priority and it starts with making information driven decisions. These are decisions based on qualified and quantified information sourced from data that have been collected, cleansed, analyzed, and visualized – the main function of business intelligence software. We are all for zero cost solutions, however desired returns are seldom delivered via the free path. Consider free solutions as stepping stones. You’re more likely to realize your business goals by investing in software that meets and matches your requirement, devoid of restrictions and limitations. Business intelligence software is no different. The great distinction is that it has proven to provide huge returns for every dollar you spend on it.